Noon Whistle is a remarkably open place. From propped doors and windows, to a wide-open brew house, a visit to their Lombard location is an unobscured look at the laborious world of brewing. Chat with brewmaster Paul Kreiner and it becomes clear it’s a labor of love, with late hours spent brewing batches for a burgeoning local fanbase. Noon Whistle opened with a strong focus on session beer – brews that are low in ABV, yet big in flavor. Be it a refreshing tart Berliner Weiss or a salty and snappy Gose – their sour Smack Series continues to deliver just that. However, when New England style IPA began to take the beer world by storm, Noon Whistle took notice. Their first attempt at this hazy style resulted in an IPA with such a ludicrous amount hops that it gummed up their whole system. After a bit of tweaking, a new series was born. Super aromatic on the nose and creamy across the palate – the Gummy series is NEIPA done right. We headed over to Noon Whistle - eager to collaborate and looking for some of that flava from down unda. Thankfully Noon Whistle got their hands on a bunch of Vic Secret from Australia. A new Gummy was born. A single batch of Gummy requires four turns of Noon Whistle’s 15 barrel brewhouse so we were eager to stop by and lend a hand. A few weeks later, our hazy creation was canned and ready to go. Say G’Day to the latest member of the Gummy family! This deliciously tropical New England IPA showcasing Australian Vic Secret hops. G’Day Gummy makes a wonderful partner for grilled seafood – especially shrimp. 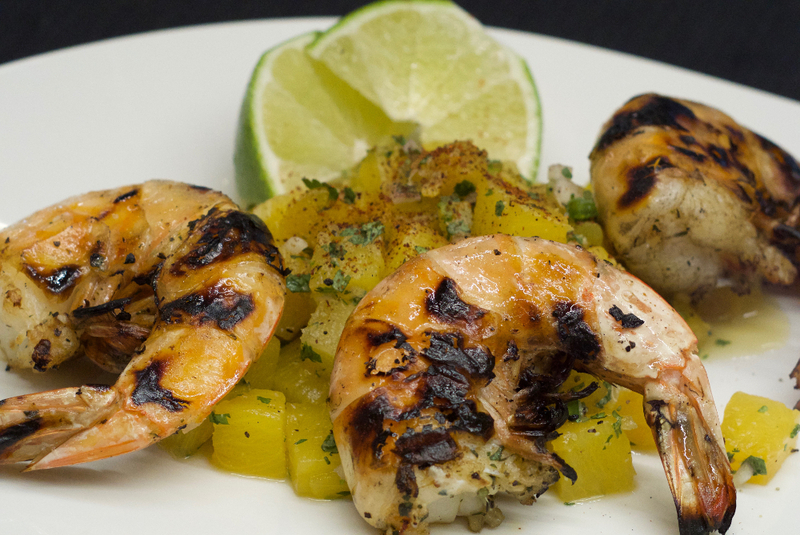 Check out our Grilled Shrimp and Caramelized Pineapple Salsa recipe and slip an extra shrimp on the barbie!